My first experience of Thanksgiving in the USA was in 1988. At that time I was living in New York and I was creating a Sand Mandala at the Museum of Natural History. My sponsor was Barry Bryant and we had a major challenge in that I did not speak hardly any English and Barry did not speak Tibetan or Hindi. So we often had to find a Tibetan in Manhattan who could translate for us. With time I tried to learn a little English and Barry found me a teacher. Her name was Joanna. When Thanksgiving came, my English teacher took me to Oregon to join her family for Thanksgiving. Not knowing what Thanksgiving meant, I saw the family coming together to have a lovely meal. I felt tremendous joy seeing this beautiful gathering and feeling the welcoming of the family to their home. On the one hand, I was very joyful to see this family reunion, but on the other hand I really missed my own parents. Joanna’s mother was very busy cooking in the kitchen and preparing for the dinner and even though we could not communicate well, I tried to help by washing dishes and cleaning. Some of the things I think I did correctly, but I am sure that I probably made some mistakes, like putting dishes in the wrong place, due to misunderstanding. I was so sincere in my desire to help, but as in any situation when someone does not speak the language, miscommunication happens and we make mistakes. Nevertheless, when there is a heartfelt connection these mistakes seem trivial, and in fact can bring added joy and laughter. When we flew from New York to Oregon I did not know much about what Thanksgiving is about but as we flew back to New York I understood it is an important and meaningful time for families to come together. With families nowadays spread out all over the world, we use so many forms of technology to connect with our loved ones who live far from us. We use cell phones, texting, skype, facetime, Facebook and other technologies to communicate, but it cannot replace the beauty of sitting next to one another. We have lost a lot in our personal connections. Even though we can still communicate by technology what is missing is the deep, heartfelt love and caring. Nowadays we can send and receive so many texts and emails but it can sometimes feel empty, whereas only a few decades ago people would receive one or two letters per year but they were full of meaning. We would hold on to the letter and the envelope and read the letter over again and again. It would be so precious and meaningful. Many years after receiving a letter, people would still remember the colour of the envelope and the stamps and remember what the person’s handwriting looked like. Young people nowadays are constantly checking for messages, feeling lost if they don't get one all the time. May we find a way on Thanksgiving this year to rebuild the deep connection to one another through love and caring. I know Thanksgiving is one of the biggest holidays in the United States. People travel long distances and spend incredible amounts of money. Sometimes people will question how much they spend on a cup of coffee and try to save money especially in these difficult times, and yet people will not think twice about spending the money they need to travel to see their families for this celebration. This is because the value of the family coming together for a meaningful celebration is priceless. We live our lives in a cycle that includes birth, aging, sickness, and death. It is so important to be close to each other and genuinely care for and love each other. The best gift we can give to our families is to sincerely love them, especially because we never know what the future may hold. Although we may be with those we love this year, we do not know who may not be with us next year and as the years pass, it seems that there is more and more loss each year. There are many reasons that our loved ones may not be with us (sickness, accidents, death, or separation/divorce), but it is important to love them not only when they are with us but also when we are apart. Rather than feeling anger or sadness, let's hold gratitude and love in our hearts. I would also like to remind everyone that during the meal, it is important to feel gratitude to the animals who give their life for us to eat. Many people may not realize that between 45 and 46 million turkeys are eaten each year on Thanksgiving. So many animals are eaten on this one day, and therefore we need to think of all the animals who give their lives every day of the year. On Thanksgiving please pray for the animals who are killed so that we have food to eat, and pray that one day all living beings will overcome fear and suffering. I hope and pray everyone has a meaningful Thanksgiving and a meaningful holiday. For those families who have had difficulties in the past, I pray that they are able to bond with one another this year. During this Thanksgiving I pray that they can heal and purify any difficulties they have in their relationships with family or friends. I wish everyone has safe travel wherever they may go and a safe return back to their homes. Sometime this year I will turn sixty years of age. I am either already sixty or will turn sixty sometime soon. The truth is, I don't know for sure exactly when my birthday is. Regardless, I cannot believe I will turn 60 this year. When I look in the mirror I see an older man's face looking back at me, but inside I feel that I am still 18. When I lead retreats and give teachings, I often talk about life like the quarters of a football game; childhood is first quarter, youth and young adulthood as second quarter, and so on. I cannot believe that I am heading for overtime! My friends who are football fans tell me that overtime is the most exciting part of the game. Last summer when I was in India, one of the Tibetan poets wrote a poem about Tibetan birthdays. When I listened to him, I thought it was about my birthday. The point of the poem was that the boy asked his mother, "Mom, what month and year was I born?" And the mother replied, "The year we got a lot of rain. That's the year you were born." And the boy asked again, "what year was that mom?" And the mom replied, " that year the cow had a calf." And the boy asked again, "what year was that mom." And she answered, "that year we had good crops. And a lot of our family came to visit that year." So when I sat and listened to that poem, I thought that sounded a lot like the mystery around my own birthdate. The year I was born is the year that Edmund Hillary and Tenzing Norgay were the first people to reach the summit of Mount Everest. In the west, television had become so popular that in the year I was born the first TV Guide was published. The year of my birth is also the year that the double-helix structure of the DNA was discovered. That same year, the first successful open-heart surgery was performed in Philadelphia. I know there is no connection between this surgery and what happened in my life, but a couple months after I was born I died. I don't know the cause of my death, but after ten days, just when they were about to bury my body, I came back to life. In the town where I grew up, they gave me the nickname Shilok, which means "a living being who died and came back to the earth." With such a difficult infancy, no one could ever have imagined that I would one day live near the base of Mount Everest, watch TV and 3-D movies, or eventually live in the City of Brotherly Love, the place where they performed the first successful open-heart surgery. The day I needed to sign the documents for my US passport it was May 17. On that document, I wrote that my birthday was May 17, 1953. The woman was so kind, she said, "Happy Birthday! Today is your birthday." So, I told her, "I wrote May 17 for my birthday because that is today's date. The truth is I don't know the month and day of my birthday, only the year." I could only imagine what was going on in her mind, but the look on her face told me she was thinking, "That can't be! How can someone not know their birthday?" And in fact, most Tibetan's don't think it is important to know a person's individual birthday. No one paid attention to their own birthday and we didn't have individual birthday celebrations. Instead, in the past, everyone's birthday was Tibetan New Year, Losar, and everyone turned a year older on that day. It was so simple. Furthermore, there was no fighting over birthday cake and no one had to worry about forgetting anyone else's birthday. Luckily I remembered the year I was born, it was 1953. I remembered that because my mom told me I was born the year of the snake and the element of that year was earth. However, even though I remembered the year I was born, in my passport they put the year of my birth as 1952. So one day, I went to the passport office in Philadelphia to correct the year of my birth, from 1952 to 1953. There was a long line that day at the passport office and when it came to my turn, I walked up to the window and the man asked how he could help me. I told him that the year of birth of my passport was incorrect and I came to fix it. I asked what form I needed to fill out. The man told me to fill out a document and submit it with my birth certificate. I said "we didn't have birth certificates in Tibet when I was born." He told me that you have to have a birth certificate to change the date of birth, so I gave up and left it as 1952. I just let it be. The place I was born in Western Tibet is called Ribuche. 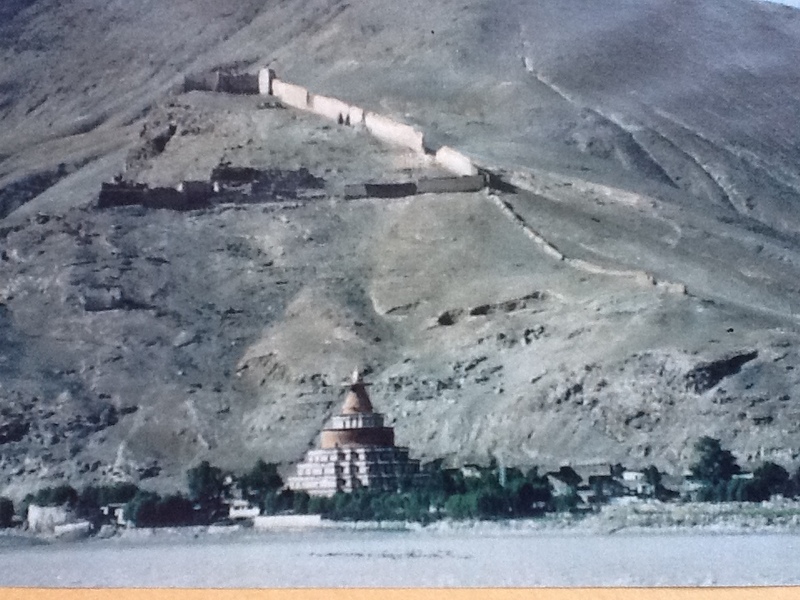 It is a beautiful small town and had lots of temples and there was a very holy stupa. Ribuche was home to the famous 14th century yogi, Thangtong Gyalpo, who founded the Tibetan opera and built many bridges in the Tibetan Plateau. I was born in this small town and at the age of 2 or 3, even though we had no toys or TV for entertainment and life was difficult, there was still caring and joy. Everyone in the town watched out for the little children and they were all our babysitters. At that time, I could never imagine that when I was 5 I would be a refugee, forced to leave my lovely home, to give up everything, and to have my family scattered. And on the day we had to escape, none of us had any thought that that night we would be fleeing our home and that the following night we would be hiding like animals in a cave. I remember we could not even make hot tea, because people could see the smoke from the fire during the day and the fire itself during the night. So we traveled for two months across the Himalayas, climbing up the mountains, down into the valleys, and across glaciers. As we crossed the glaciers, we saw bodies of people who froze to death. There were also a number of people who fell down the crevasses in the glacier, and all we heard was a crack and a scream. A couple summers later, bodies of people and animals would emerge in the river down the valley. It was truly like hell had come to life. When I think back, I have no idea how we survived. We did not have any clothing or supplies to protect us from the weather and the mountain environment. It was cold, snowy, windy, and wet. Sometimes there was so much snow and wind I could not see the person walking in front of me. We had no good shoes and although we had some wool and fur, our clothes and shoes were not waterproof and often became completely soaked. Sometimes we could feel the water squishing under our feet with each step. I was so happy to have long hair for that trip, because I could pull the hair over my eyes to protect them from snow blindness. And yet after two months somehow we arrived in Nepal in a place called Solukhumbu. 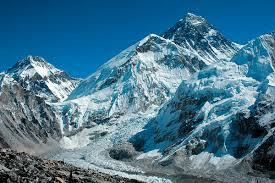 Solukhumbu is a valley at the foot of Mount Everest. Solukhumbu is a beautiful place, yet we had nothing. We did not even have a tent for shelter and the winter's snow was a couple feet deep. We stayed a couple years there, until 1963. We hoped that we would soon be able to return to our homeland. We missed the brothers who did not escape with us, and we missed our relatives and our home and the animals. I was 5 or 6 years of age when we escaped, and both of my parents were so kind and loving, but I cannot imagine what was going on in their mind. After a couple years, we lost hope that we would be able to return to Tibet. No one was able to leave Tibet and no one could go in. In the whole Himalayan region, the border of Tibet was sealed. We saw there was no hope staying on the border, as we would not be able to return to our homeland. 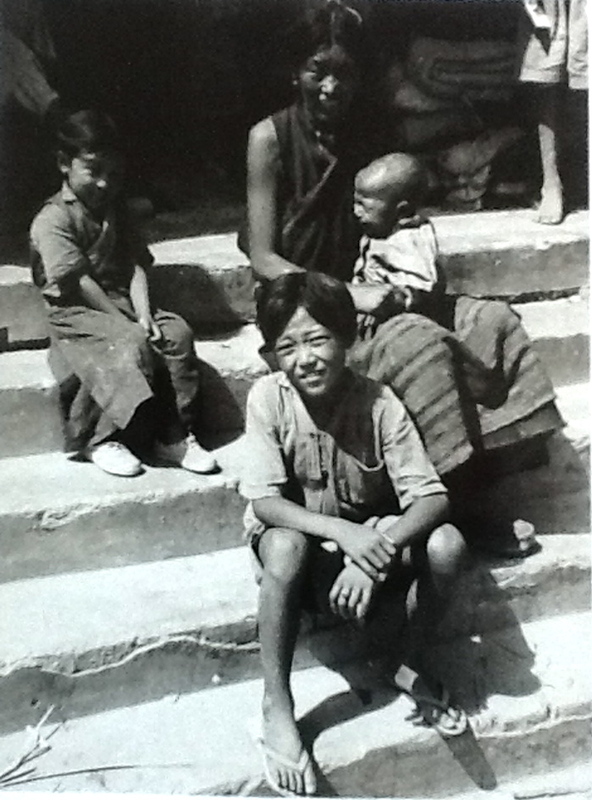 In 1963 I came to the border of India and Nepal with my family and slowly a group of about 300 Tibetans came to be at that border crossing. When we were at the border of India (one of the hottest places in India, called Jaynagar), we didn't know we needed permission to go into India. Without passports or documents, we came to the border and hoped to enter, but we were stuck there for 7 months. A number of older and very young Tibetans died while we waited at the border. Every day we would go to the train station hoping that they would let us go to Dharamsala, which after 1960 became home to the Dalai Lama. There were rumors that this was the day we would be able to cross the border into India, and we would pack, only to find the rumors were false and we would return to the mango tree where we had found shelter, and unpack once again. So many times we packed up our possessions and left our shelter under the mango tree only to return once again. During this time on the border, we heard that the US President John F. Kennedy was assassinated. 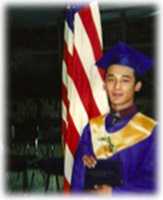 I never imagined that one day my sister, Sonam Sangmo, and I would become citizens of and live in the United States. When we were still living in Tibet, we also never imagined that we would be one day sitting on a street in the border of India and Nepal begging for food. A number of us boys and girls would go to the bus or train station asking for money to help support our families. At the time, I had long hair. In Western Tibet, both men and women would have long hair and earrings, so at the age of 10 I had long hair and also wore earrings. 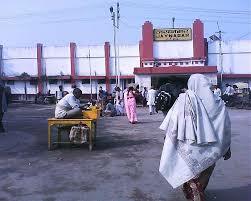 One day I was in the train station and an Indian man said follow me and I will give you money. He took me to his house and he thought I was a girl. He took off my pants and realized I was a boy and luckily he kicked me out. When I saw the Indian movie Slum Dog Millionaire, I identified with what happened to the children in the movie. It felt very profound to me, as I could understand what they were going through. The next day I cut my hair and took out my earrings. Then one day three or four Indian military officers came to our camp with a translator and said that if any of the men would like to join the Indian military, they will let us into India and then when we are in the military we would be able to bring the rest of our families into India. Later that day, I was sitting and resting on a bench waiting for the next train to arrive to ask the passengers for any money they could spare. As I waited, I seriously thought it would be a good idea to volunteer for the Indian military and then I could bring my family to India. I felt it would be harder on my family if my father volunteered, so I did not want my father to join the military and thought it would be better if I did. Although it was a difficult decision, I felt it would be so wonderful if I could do something to bring my mom, my dad, my sister, and my little brother (who was born in the refugee camp in Solukhumbu) to India. So I ran home and told my mom and dad what I decided. They could not believe that I would consider joining the military and they could not accept the thought of it, especially because I was only 10 years old. Then one of my uncles, an incredible human being named Dorje-la, thought he would also volunteer to join the military, and then he could bring his family to India. The two of us, as well as many other Tibetan men and about 20 boys about the same age as me, decided to volunteer. That made it a little easier for my family to accept. Both of my parents were very spiritual. They did prayers and rituals and prayed for compassion for all living beings. As I grew up in that environment, my mom would often say, "you are going to be a monk." Hearing her say that made me happy and excited, and I always thought I will be a monk one day. And I have to admit, that I also could not believe that I was going to join the military, but I was willing to try my best in order to bring my family into India. The day we were leaving, all of the Tibetans came to the train station to say goodbye to their loved ones. I was in the train looking out the window at my parents, my sister and my brother who were standing on the platform and I was saying goodbye to them. It was much harder to leave that day than it was leaving Tibet. I tried so hard not to cry because I knew it would be harder for my mom, even though in the train station everyone on the train and on the platform was crying. The sound of sorrowful voices and cries were so loud in the station. There were some Indian families in the station as well and some of them looked confused about why everyone was crying so hard. I was praying the train would move soon so that I would not break down in front of my mom and luckily the train started to move away from the station. That felt a little easier. And then I cried for about an hour after the train started moving. And the only thing I could think is that I would be safe because my dear uncle Dorje was next to me. 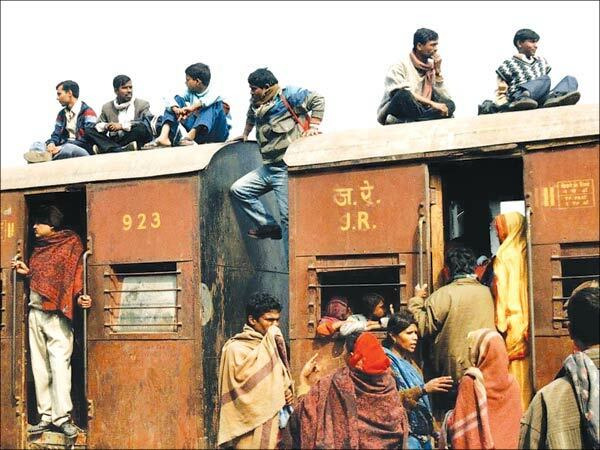 So about 50 Tibetan boys and men travelled on a train with 6 or 7 Indian military soldiers for many hours. Then we arrived at the military camp, a place called Dehradun. There were many Tibetans who had already joined the military, and because we did not speak more than a couple words in Hindi, when we arrived they told us that within a day or two the military would give us a physical exam to determine who was fit to serve in the army. When we arrived they gave us blankets, clothing and dishes. I remember the food in the camp was good and the beds were quite nice, especially compared to living under the shelter of a mango tree and begging for food. In my mind I kept thinking about my parents and focused on when I would be able to bring them to India. I had many dreams of my parents, my sister and my brother during that time. One evening, three days later, they told us that the next day would be the doctor's appointment. Many of the Tibetans who were already selected for the military told us that we would be too young to be selected as soldiers, so they told us to stand extra tall and even to stand on our tiptoes. In the morning I wet my comb, combed my hair, straightened my clothes, and to tried my best to look like a man and not like a ten year old boy. One by one we went in to see the doctor and I took the suggestions of the Tibetans seriously and I showed them my tallest pose, acting like I was the tallest man in the group. I don't have a picture, but I think at that time my neck was like a giraffe's, stretched as long as I could make it. I was so scared of not passing the physical exam because I didn't know what would happen to me and especially to my family. I was afraid they would send me back to Nepal and would lose my chance to bring my family to India. Then the doctor looked at me and I stood there and he said, through the interpreter, to show him my back and then to turn around. Then, he did not say much to me except to say "good good, you can go" and then sent me out. For some people they took a long time for their exam, but I was really fast. I thought I did really good. My uncle asked me how it went, and I replied that I thought I would be accepted. Then my uncle asked me, "did you stand on your tiptoes?" and I replied proudly that I did. Then a couple people later my uncle went in for his exam and he came out very fast too. I thought we both must have done really well. Later that day the military officers and the translator read out the names of the applicants who were accepted. They were called first and for them we all cheered. I kept hoping my name or my uncle's would be next on their list. My name was never so powerful and important as it felt on that day as I waited to hear the sound of my name to be called. And then they began to read the names of those who were not accepted and for them we cried. My name and my uncle Dorje's names were near the end of the list and we were both rejected. He was too old because he was in his 50's and I was too young, being only 10. My attempt at stretching my neck like a giraffe and standing on my tiptoes was not enough to pass the test. Later after I arrived in the west and saw my first ballet, it brought back vivid memories of the time I stretched my neck and stood on tiptoes to pass the military physical exam and old emotions washed over me. After hearing the news, my uncle and I looked at each other and it was clear we were both feeling somewhat desperate trying to think of what we could do now to bring our families to India. Although I never wanted to become a soldier, I was devastated to have been rejected. At the end of the meeting, those who were rejected were told they would be taken to Dharamsala if they wished. Then we could decide what we wanted to do from there. They gave us a little pocket money, 10 rupees each (which is about 25 cents nowadays) and the next day we left the camp and traveled for 2 days to reach Dharamsala. Dharamsala is a beautiful hill station in the high mountains. There are many pine trees, clean fresh air, and there is a beautiful waterfall near the town, called Bhagsu Falls. It is such a lovely town. When I first arrived in Dharamsala it reminded me of Solukumbu. There were a lot of Tibetans in Dharamsala and His Holiness the Dalai Lama was already there. We were told we would have the chance to meet His Holiness, who the people in Tibet referred to as Gyalwa Yeshe Norbu, which means precious jewel. Ever since my childhood, everyone talked about His Holiness the Dalai Lama and how precious he is. Although many people talked about him, few people in Tibet ever had the chance to meet him. 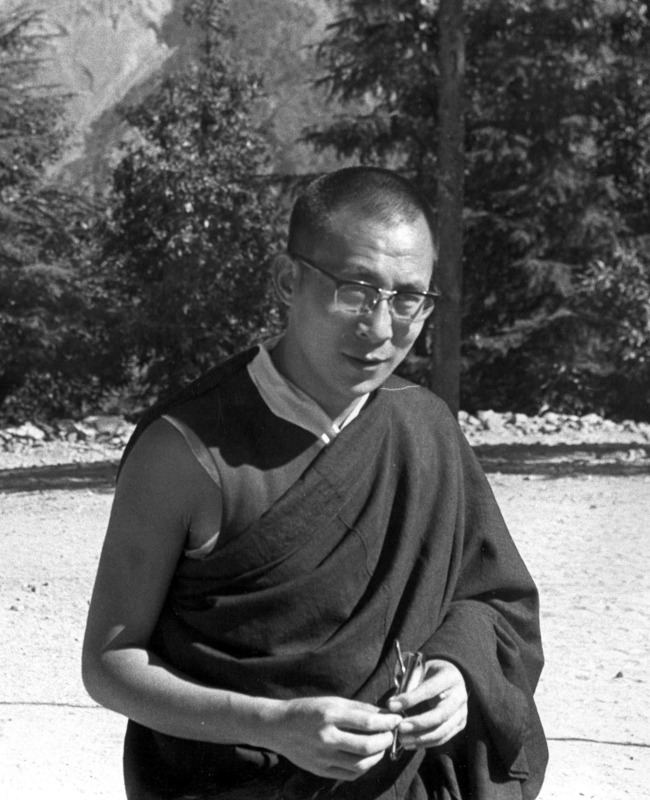 Even though the Dalai Lama lived in the capital city, Lhasa, before he escaped from Tibet in 1959, those who lived there might never get to meet him and would not even know what he looked like. The chance to meet the Dalai Lama was so rare that I never imagined that I would ever have the chance. As I look back I realize that if I had remained in Tibet, I may never have met him; it was this difficult journey that brought me to meet His Holiness the Dalai Lama. I still remember so vividly the day I met His Holiness the Dalai Lama. I remember waking up that morning and washing my face and my hair, and then I picked up my only pair of pants and my only jacket and tried to shake out the dust to be presentable for him. I shook them gently, because I was afraid that these, my only clothes, may fall apart if I shake them too hard. Then we walked to His Holiness' residence and waited. It was a public meeting and there were many Tibetans, yet I remember the exact spot where I was standing among all the people. I remember that the group of boys and men who were rejected by the military were all standing together and I was there with my uncle, both in awe that we were about to see our inspiration and symbol of hope, His Holiness the Dalai Lama. He emerged from his room and came over to us, with his beautiful dog by his side. It was like the sun rising in the east, so bright and so beautiful. We did three prostrations to him. Then he came over close to us and he asked us where each of us was from. As he greeted us he offered us the opportunity to make a request. We all asked His Holiness, "Please help us to bring the rest of our families from Nepal into Dharamsala." My voice was one of the strongest in the group because I missed my family so much, but all the men and boys in our group cried like babies before him. My eyes were so small, but they were so full of water, and my shirt-sleeves became soaked with tears. His Holiness listened to what we had to say and he said "yes, don't worry your family will come to India sooner or later. In the meanwhile, you children must go to school." My uncle was a famous Tibetan opera master and His Holiness asked him to teach at the Tibetan Institute of Performing Arts that had been established in Dharamsala to preserve Tibetan art, music, and culture. I was very relieved when His Holiness said that my family would come eventually to India, that I could go to school, and that my uncle could join the teaching staff at the performing arts school. The year was 1963 and on that day the joy I felt was indescribable. What I could never have imagined on that day was that one day I would become a monk, live and study in his personal monastery, and eventually be chosen by him to be one of his attendants. On that day, I felt so much joy and hope. I am sure that I received blessings from His Holiness, but when I reflect on that experience I am certain that the feelings of bliss also arose from within myself. I could not tell whether the feeling of bliss and joy originated from him or from within myself, or if it was a combination of both, but I knew at that moment that no matter what, my family would be okay. Ever since then, I have returned to that spot many times and remember that day as a 10 year-old boy. I am grateful for all the experiences that I have had on my journey so far in my life, but the most significant one was the day I met my guru His Holiness the Dalai Lama, Tenzin Gyatso, from whom I received my vows as a fully ordained monk and who so generously gave so many remarkable teachings. The moment I saw him a sense of hope for a new life for me and my family was awakened and my life changed forever. This summer, when I return to India I will go back to where I was standing when I first saw him and my 60th birthday present to myself is to meditate on that spot. I am sharing this brief glimpse of my life story with you as I am about to celebrate what I believe may be the day of my 60th birthday. I am sitting in a lovely home by the river just outside the city of Saskatoon, Saskatchewan, Canada, at the lovely home of Fred, Sonya, and their beautiful daughter, Kaia. I would like to thank them for the hospitality and kindness they offered to me and my friend, Lori, who helped me write this. I give special thanks to Lori, who, as always, beautifully composed my story in writing. While Lori and I were writing this, we both laughed so hard and sometimes we cried. I hope and pray that no other living being, especially a child, goes through such incredible hardships as I did, yet I realize there are many children and families who are going through experiences much more difficult and painful than I went through. Many living beings have experienced incredible suffering in the past, at this moment, and will likely into the future, yet I pray that they always keep hope and never give up. I pray that they will one day have the experience of the sun rising in the east and shining brilliantly on them, awakening hope for a new life filled with joy and peace for them, as meeting His Holiness the Dalai Lama was for me. We are almost finished the year 2012 and there have been many predictions told about this year, so we all hope and pray that no major tragedies will happen this year or any year in the future. And we can also pray that a beautiful and joyful year will come for all of us in 2013. As we look back from the beginning of this year until now, we can see many wonderful events took place, as well as much pain and loss. Right now we are all impacted by the tragic events at the Sandy Hook Elementary School in Newtown, Connecticut on Friday, December 14. You are all likely shocked, as am I, that something like this can happen, and I am sure you are holding everyone involved in your thoughts and prayers as we approach the holidays. Usually at this time of year, gifts have been bought and wrapped, and children are looking forward to the holidays and to unwrapping their gifts that have been placed under the beautifully decorated tree. Yet, we never know what can happen and this truly shows how everything is impermanent. To me this even is something that has impacted me so deeply at a personal level. 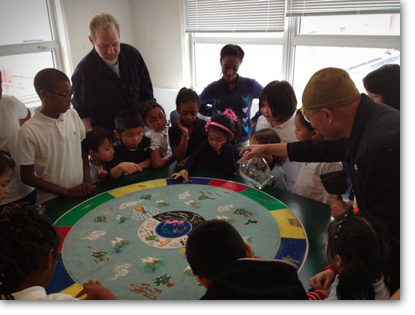 Last week I was in a charter school, creating the Wheel of Life Mandala. I was visiting the students in classrooms from kindergarten to grade 8 and telling them stories and teaching them how to meditate. I shared the message of the Wheel of Life with the students, to help them understand the effects of ignorance, attachment, and anger (the three poisons symbolized by the three animals in the center of the mandala). I asked each class to tell me about anger, and even in kindergarten the kids said, Teacher Losang, anger is bad!!! 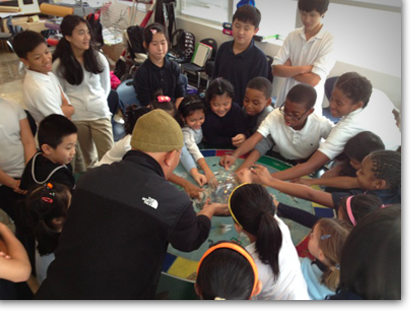 Without hesitation they all shared their feelings about anger and shared examples of how they see anger causing harm. From 8am to 3:30pm I heard the constant melody of the students voices ringing out with the words Teacher Losang and I can still hear their voices and see their beautiful, innocent faces. The teachers were so dedicated to the children they teach, and I honour the wonderful work they do. Even though I never met the students at this school in Connecticut, I can imagine how they may have looked. I can also imagine the teaching faculty at this school, also being very dedicated to their young students. So, this touches me deeply and I really feel this is a tragedy, not only for the young children and teachers who were killed, but also for the young man who committed this act and for his family. I am sure when you listen to the news and hear the stories of the families that you may be weeping and sobbing. By the end of the news, your table may be full of used Kleenex as you wipe your tears. I find myself using Kleenex because I have a little cold, but also when I hear this story it brings tears to my eyes and I reach for the nearest Kleenex box. Despite the grief and shock the father of one child who was killed, a little girl named Emily Parker, shared a message of hope and faith for all of us. His words touched me deeply, as he spoke of his love for his beautiful daughter Emily, as he shared the importance of not letting anger take hold of us, and told how he prays for everyone who lost someone that day. Then he shared how he will now dedicate his life to helping others. He even beseeched everyone to pray for the man who shot his lovely daughter and that is truly remarkable. When I heard him say that, it renewed my own sense of hope. I was going to write a short holiday greeting to you, and I apologize for writing about the details of this sad event, but I know it is on everyones minds and perhaps weighing heavy on your hearts. With this, I wanted to say that whatever we are going through in our lives, one important thing is to never lose hope. We always have things happening in our lives, some are difficult yet many more are positive. These positive things bring me great hope and courage to go on. It reminds me how we are all beautiful and we are all wonderful. Some people want to see the man who did this act as evil, but in truth the evil is the three poisons, not the person. The great first Dalai Lama said evil is within all of us; it is the delusions. So as the holidays come, may we all pray and do our best to overcome our own internal evil (the three poisons). I hope that each of us will make this our New Years resolution, to eliminate these internal poisons. I feel this is the most beautiful gift we can give to ourselves. As President Obama said in his speech, when these things happen, it reminds of what is important: love. Moments like this, we are reminded of the love we have for one another, we are shown how important it is to be close to those we love, to show them our love, and to be kind to one another. This is the most beautiful gift you can give to anyone. Since you first came to the TBC, the kindness, love, and support you have shown for our center (whether it is weeks, months or years) is deeply appreciated. I am so grateful from the bottom of my heart. May you all have a beautiful holiday and may your life be truly meaningful. Sending you all my love and a big hug. In Search of the "I"
Shakyamuni Buddha taught so many teachings during his lifetime on the subject of emptiness and interdependence. Since then many Buddhist scholars in India, Tibet and around the world have written many books about the self and the "I" ... examining where the "I" is located and how we can find the "I". Many meditators in caves high in the Himalayas, as well as scientists in modern laboratories have spent years and years researching the concept of the "I". In all of the religions on the earth, the concept of the self and the ego is such an important subject and they each have many methods to investigate where the "I" originates. They ask questions such as who created the self and does the "I" have a past or a future. In some religions the "I" is not created by a Creator and is a continuous flow of consciousness that progresses towards enlightenment. In other religions, the "I" is created by God or the Creator, and is precious because it is a reflection of God. Scholars in the past have researched the "I" extensively, and continue to research the concept of the "I" and likely will long into the future. If we look in our own individual lives, the "I" is a key factor affecting what we do in our everyday life. The "I" is so important to us even though we really cannot define the "I", all that we do somehow relates to our own feeling and understanding of the "I". Everything arises from the "I": "I am going." "I am sad." "I am hungry. I need food." "I am reading." "I am happy." Thus, the "I" influences and relates to all that we do and think all day long. The "I" is like a fuel or an engine, that motivates us and keeps us going throughout our lives. Nowadays I hear from my friends about many "I"s that you can find in the stores. I was very curious to find the "I", because my understanding from my extensive Buddhist studies is that there is no "I" and the "I" does not exist independently so we should not be able to buy an "I". So in search of the "I", I walked into the Apple Store in the shopping mall and asked the salesclerk if they have an "I". The sales clerk said "yes, we have many. We have the ipod, ipad, iphone and imac. Which are you looking for?" I looked at each of the items and held them in my hand. I found so many "I"s. I was so happy! I found the "I"!!! So many meditators in the past have chanted the Heart Sutra and searched for years to find the "I", and in this one shop I found so many "I"s. At first I thought, maybe I have reached enlightenment, because even the Buddha could not find the "I" after 6 years in retreat, but here I was, holding many "I"s in my hand. 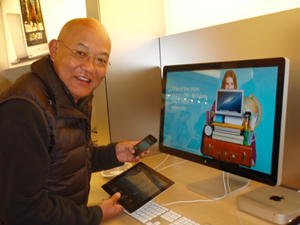 I first picked up the ipad, then the iphone, the ipod, and looked at the imac. I wondered which is the real "I" that I am looking for? So, as I stood there looking at each of these lovely devices, I asked the clerk "which is the real "I"?" He looked so puzzled as he said "excuse me??? What do you mean, the real "I". I responded, "well, for over 40 years I have been searching for the real "I" and here you have so many "I"s, I wonder which is the real "I"?" As I saw the puzzled look on his face, I decided to investigate a little deeper into these ipads, iphones, imacs and ipods. 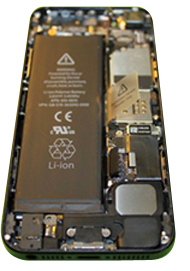 Looking at the inside of these devices, we can find a battery, chips and wires and although these are all parts of the "I"pad or "I"phone, they do not exist independently as an "I", just as when we look in our bodies there are nerves, veins, organs, a heart and a brain, none of which on their own comprise the "I". Suddenly, I felt very disappointed that I had not really found the "I" ... yet, simultaneously there arose in me a feeling of contentment realizing the truth in the teachings of the Buddha that there is no independently existing "I". Then, as I stood there contemplating the internal working of the devices, I also began to wonder how they decided to put label of "I" before the object's name. There must be a very good business reason why they called it an "I". They must have had meetings, and maybe realized that we cherish the "I" so much, that they felt if they put the "I" in front of the name, perhaps people would want it more? Or perhaps they labeled it with an "I" because, as I mentioned before, everything arises from the "I". From this, I came to understand that any object, including ourselves, is just labeled. When we investigate it, we see that there is nothing that we can put our finger on that is the inherently existing "I", and yet at the same time we cannot say that "I" does not exist. It exists and it works, and we can even buy it (e.g., the "I"pad or "iphone"). Furthermore, we can store our information in the "I"cloud, which exists even though we do not know where it exists. We can learn and do so much work on these devices, that in some ways these technological "I"s are becoming like modern age gurus that we can easily carry in our pockets, without any need for the complexities of guru devotion. In many ways they have replaced so many of the wonderful human "I" qualities, because as human beings we have a boundless capacity for loving-kindness and compassion. So as we enter an era of texting, many people have given up even having a landline for texting on a cell phone. As human beings, we have been given a wonderful gift to connect with one another in profound relationships. We can smile and we can give wonderful feelings from my "I" to your "I", but an "I"pad cannot even smile. It is important to remember that the great Masters, like Buddha, Tara, Jesus, Mohammed, Shiva, and Allah among others, taught us how to investigate the "I", while at the same time taught about the importance of compassion. In fact, in Buddhism the motivation for understanding the concept of the "I" is completely founded on the motivation to increase our compassion for oneself and all living beings. In the modern world, we have a great deal of technology and there are so many "I"s and we can connect with everyone through our smart phones and high- tech devices, but can we maintain the balance between this and human kindness and compassion for one another? I most sincerely hope we are able to maintain and develop the precious gifts that we each possess: loving-kindness and compassion. Even though I did not find the independently existing "I" within myself or in the store, I do know that I exist. I also know we all enjoy human contact and hugs. So, from my "I" to your "I" and to the "I" of all sentient beings, "I" send a great big "I"hug filled with "I"love!!! Today is Easter Sunday, and I am sitting on my cushion looking at my altar and thinking of the great Master Jesus and his Teachings which have helped so many people in the past, as well as the present and in the future. As I look out my window at the city of Philadelphia I see the weather is so beautiful, the sky is so blue, and the Delaware River looks so calm. Along the banks of the river, people are walking, biking, and jogging. The flowers are blooming and the leaves have come out on the trees, which are such a lovely green. Looking out my window, everything appears very pleasant and peaceful. Yet, inside of myself there is an awareness that everyone is going through their own challenges and dealing with any number of problems. I am sure that although people appear to be peaceful as they walk around, they may be dealing with their own grief and loss. So although we may appear happy on the surface, we can be dealing with various issues on the inside. As I walked down the street to my class today, no one may have known that I am dealing with my own process of grieving. Many of you know that my sister and her family live in Philadelphia. My sister, Sangmo, and her husband, Dorje, have four children: two boys and two girls. I am lucky to be an uncle who has such beautiful nieces and nephews. We have gone through so much in our lives both individually and as a family including fleeing our home country Tibet, settling in India, and relocating to the United States. Because I was living in Philadelphia at the time my sister's family arrived in the United States, they settled in Philadelphia as well. We are lucky to be together, as we are a very close family. Among my sister's four children, the third oldest child, Tenzin Tsothen, seemed to be experiencing the most difficulties. So although our whole family is very close, among my four nieces and nephews I always worried more about Tenzin and spent more time with him. We had a lot of good times when he and I had a chance to be together; we would eat and do projects. As I reflect on our relationship, I see that he and I shared many experiences. I am so grateful that we had that time, because my dear nephew passed away suddenly and unexpectedly of natural causes on March 24th 2012, early in the morning at the age of 31. During the week before his death, I had been creating a mandala of compassion as part of the Philadelphia Folklore Project. The location where I was creating the mandala was close to my sister's house, and I feel very fortunate to have been able to visit him and my sister every day that week. On the night of Friday, March 23rd, I completed the mandala of compassion and we performed the dismantling ceremony. After I finished the dismantling I went to my sister's house for supper, as I often do, and we all had a lovely evening together, including my dear nephew Tenzin. Then I came home and at about 3:00 am on the morning of the 24th, I had a powerful, vivid dream of Tenzin. In my dream, he was washing his clothes and hanging them to dry on a clothesline (as we do in India). Most of his clothes were yellow and maroon coloured, which reminded me of the colour of monks and nun's robes. The weather was so beautiful, the grass was so green, and he was so happy! As I watched him wash his clothes, I asked him "What are you doing?" He replied very happily, "Uncle, I am washing my clothes." Then I awoke suddenly. When I thought about the dream, it seemed that it was a very positive dream. He had been having personal difficulties lately, so I interpreted the dream as meaning that things were going to go better for him. Then my phone rang around 7:00 am. It was my sister. She was crying on the phone and cried for me to come over to her house right away. She said "my son, Tenzin, has passed away." I was completely shocked to hear the news, especially after my dream. It was impossible to believe this phone call was really happening; I went to her house right away. The whole time I was telling myself to be calm. My mantra that morning was "remain calm." When I arrived at my sister's house there were many police cars in front of her house. I found a place to park my car. As I walked toward their home, I realized the importance of carrying the message of the Buddha Dharma and how important it is to put the Teachings into practice. So, I repeated again and again "remain calm." As I walked by the police officers, I introduced myself and they let me pass. When I entered the home, I saw it was in chaos. When I was visiting the home the night before for dinner everything was peaceful, and this morning it was a completely different situation. Last night the family was together, eating a lovely supper, but now the house was full of police officers, forensics, and a medical examiner. Usually you can hear Tibetan or Indian music their home, as well as prayers and laughter, but that morning the only sound throughout the house was the sound of crying. My sister was crying and scurrying around in her grief. My sister's husband, Dorje, was saying prayers, but crying like a child. Tenzin's sister, Jampa, had fainted twice before I arrived. I could hear her crying upstairs. I tried to bring peace and calm to my sister and her family, and I kept repeating the mantra in my mind "remain calm." Because I was able to remain calm, I was able to help deal with the police and medical examiners. I believe I was able to communicate and make decisions more easily, because I was calm. Then I called my older niece's husband, who is also named Tenzin and I asked him to come by to help. The police then took the body of my nephew away for an autopsy. I am so grateful to all of them, because they were so helpful. We had not experienced a death in the United States before and did not understand the processes or requirements. They explained the whole process to me, sharing how they would take the body for the autopsy and then the body would be ready for a funeral on Sunday, Monday, or Tuesday. They provided such helpful advice, I am so grateful to each of them (though I don't know all of their names). They were so wonderful and skillful in that kind of situation to be able to do their job, while also providing comfort and information. I had the responsibility to pull the family together and I asked them all to come to the living room. I explained the concept of impermanence to them, and emphasized the importance of being calm and peaceful (as much as possible). At the time when someone passes away or when tragedy happens, remaining peaceful and calm is very beneficial. So, I guided them through a short meditation and it was very difficult for them, but I tried the best I could to bring us all together in prayer. Later on they told me that was very helpful, because it helped them to do what needed to be done in a good way, but also helped them see death in a different way. They said they really appreciated my being there to support and guide them. As is our tradition, we each laid a white scarf on Tenzin's body before he was carried away, to wish him a better rebirth. At the time when they took the body, I lit a candle at the family altar and prayed very sincerely for him and for any living being that died that day. I wished them all a better rebirth and prayed that the rest of the family could recover easily. Then I needed to do two things: first, to arrange the funeral services and second, to call India to set up the prayers and to have the astrology chart read to reveal information regarding the time of his death. In the Tibetan community, when someone dies we read the astrology chart with the school of medicine, which helps to guide the arrangements. It tells us the best day to complete the cremation (in the past in Tibet, the majority of funerals would involve a sky burial, but now it is primarily cremation). The astrology chart helps us to know the day and time for the cremation and what should be burned with the body, as well as what practices to undertake and the prayers to do to realize a better rebirth for the deceased. In addition, the chart shows which images (manifestation of the Buddha) should be created during the seven weeks after a death to help support a better rebirth. It also describes what the family can do to heal and remain healthy. Tibetan astrology provides fascinating information with a great deal of detail, including the direction the body should be carried when it is first moved. If it is not possible to move the body in this direction, then there are rituals identified to mitigate any negative effects. 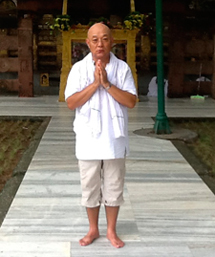 I phoned my adoptive father in India, Namgyal-la, and he obtained the information for me. He told me that the funeral should be on a Monday, and which prayers and practices to do. We were told that if we completed these instructions my nephew Tenzin would be reborn in the west as a beautiful female. Luckily we received my nephew's precious body on Sunday, and did the cremation as indicated on Monday. For forty-nine days after his death we will do prayers, with special prayers done every Friday. In the Buddhist tradition, there is the belief that the person will be reborn within forty-nine days and each week a transition occurs within the Bardo (intermediate state). Because my nephew passed away on a Saturday, we do special prayers on each Friday. These special prayers are done on the day before the weekly anniversary of his death because there is the idea that each week, he passes through a transformation in Bardo and the prayers assist with peaceful transitions in the Bardo state. We will do these special prayers each Friday until 49 days have passed. If a person has accumulated incredible positive karma, a person does not pass through the Bardo stage, but is reborn immediately in a better rebirth. If a person has incredible negative karma, a person will be immediately reborn in the lower realms without entering the Bardo state. Within Bardo, the form that is taken is very subtle; it is like having a form, while being formless. Depending on what the next rebirth will be, the form will appear in that shape. If the person will be reborn as a human, the Bardo form will appear human. If the person will be reborn as an animal, such as a dog, that is the image that will appear. It is very subtle, however, like a dream. So, I have lost such a beautiful member of my family on Saturday, March 24, 2012. For this reason, I am writing this message to share with you the process I went through, and to help you understand how to deal with loss. For me, the teachings of the Buddha Dharma have been so important. The most beneficial is the message of remaining calm and peaceful, especially when dealing with situations of incredible loss. These teachings and the practice I have done helped me to deal with this situation. We all deal with forms of loss in our lives, losing members of our family or our friends. Therefore I hope that sharing this message with you will help you to go through any difficulties you may be experiencing. And it is also to remind us to all be kind and loving with those who are close to us. I realize how important it is to appreciate the time we have with those who we love, and to show compassion to all those we meet, because we never know when our life or theirs may be over. When we do our best in the time we have together, we have more peace and fewer regrets when they are no longer with us. This Friday, April 13th, at 7:00 pm (Philadelphia time) the members of the centre and friends will join me at my sister's home for a prayer service. Please come and join in prayer if you can (either in person at my sister's home or in your own home). Please pray for all sentient beings we have lost (people and any living being who has died), as well as for my nephew. The prayer that we will be doing, which is powerful for the death and dying process, is the Chenrezig Guru Yoga (Buddha of Compassion). You can find this prayer on my website www.losangsamten.com, and click on Sadhana and scroll down to find the Chenrezig practice booklet. The prayers at my sister's house will be webcast on the Tibetan Buddhist Center Website, at www.tibetanbuddhist.org. I have received a great number of emails, postcards, and phone calls from many friends and students. I am sending this message to express my gratitude to everyone for your kind words and your prayers. A number of friends and students ask me to write messages and stories, because they say they find them helpful. Therefore I thought I would take some time to write some stories to share with you, and I will begin by sharing some of my experiences on my recent trip to Reno, as well as a couple of anecdotes. I hope you find them helpful. I would also like to express my deep thanks to Lori for helping me to write my stories so that I can share them with my friends. As many of you know I fly around to many places to offer teachings and make mandalas. I do my best to collect airmiles, but sometimes I forget about them and lose the miles I have collected. On my last trip I was traveling to Reno, Lake Tahoe, and Chico, and so a few months before heading out I was looking for a flight. I called American Airlines and asked if I have enough miles to buy a trip to Reno. The woman said I have enough to buy a round-trip to Reno, but she said if I used 5000 more miles, I could travel one-way in first class. So I thought I may as well use the miles so that they don't just disappear, and I said "Okay, why not?" As you know we are traveling physically or mentally all the time. Our minds are constantly busy thinking about this or that. Even when our heads are on the pillow at night, we can still be traveling. Sometimes these experiences are lovely, but sometimes we do not get what we expect whether we are traveling in our minds or in our bodies. Nowadays traveling by airplane can be something we need to think about, especially after 9-11. There are so many changes and we often second guess whether we really want to travel or not. Before 9-11, our family would sit and have tea or coffee until we have to go to the gate and we would hug and kiss and say goodbye, but those days are gone. The younger generation who have no experience of traveling before security was increased dramatically will have no idea of how it used to be. To them, it is like when a young person sees a phone booth, they wonder what it is for, because of the increase in cell phone use; hardly anyone uses phone booths anymore. So many changes are happening so rapidly. Everything is truly impermanent. We see many changes in the world all the time, whether economically, politically, or technologically. So getting back to the story of my flight, changing my seat from economy class to first class was another change for me. On the way back from Reno to Philadelphia I was standing in line to check-in with my luggage. The line for economy class was so long, and I thought 'that is where I would usually stand'. However, because I have a first class ticket I entered the first class line, standing on the red carpet. Even though some people had been waiting a long time in the economy line, the agent called me first because I was first class. I felt a little uncomfortable and slightly embarrassed, thinking of the people who had been waiting longer. I know this happens all the time, but it felt different when it was me receiving this special treatment. At the gate, they usually call passengers to board according to the boarding number: one, two or three. I don't know how they decide on the boarding numbers, but I just go on the plane when they call my number. So, that day I was in first class and standing once again on a red carpet getting ready to board. When I looked at the carpet, however, although it was red, it looked like it needed a good cleaning. To me, this was very symbolic. Even though people are treated special walking on the red carpet, some day everyone and everything needs to be cleaned, even red carpets. And, no matter what carpet we are walking on, we all have wonderful qualities and we all have things we need to purify or clean ... in that we are all equal. Then I sat in my seat, and slowly the economy class passengers began to board the plane in search of their own seats. When I ride in economy class, as I go through first class section I usually think these must be very important people, like CEOs. They seem to always be sitting there working on their computers, working on their smartphones, or reading business magazines with a drink in their hand. As I was sitting in my first class seat, I was wondering what people might think of me. Are they asking themselves "Is he a CEO, a businessman, or what?" The people may really wonder what I am doing in first class, because if you know how I dress, it does not fit the style we usually see in first class. Luckily the person sitting next to me on this part of the flight was a person very similar to me. He also was sitting in first class for the first time using extra airmiles to travel from Reno to Pittsburg. I thought, ?Yahoo! We are both getting a special experience today, learning about how it is to sit in first class.' Normally I pack a sandwich to eat on the flight, but because I knew they were serving food, I did not pack anything to eat that day. On the flight they served us breakfast and before breakfast they offered us a small warm towel to wash our hands and face, which reminded me of my first flight to the USA in 1981, when they gave these warm wet towels to everyone on the flights. The man sitting beside me had lived all of his life in Pittsburg, and he is a retired carpenter. He had traveled to Tahoe to visit his brother. We talked during the whole flight from Reno to Dallas airport and we had such a good time sharing stories. Because I have always enjoyed working with wood, it was very interesting for me as he explained many things about working with different types of wood and building things. I have such a deep connection with woodworking, I must have been a builder or carpenter in a past life. Then we came to talk about politics in the United States. He was a strong supporter for President Obama and he felt that Obama is a great leader who has really helped the country. Then we said good-bye to each other in Dallas, as he was catching his next flight to Pittsburg and I was continuing on to Philadelphia. We had different gates, but he followed me to my gate to say how wonderful it was that we met, and he wanted to give me a hug. Looking at the man, with his muscular build and bald head, a person may not think that he is the hugging type, but he is evidence that we can not make assumptions about people, and everyone has a warm heart even if they look tough on the outside. I said how wonderful it was to meet him too, even though it was for only a short time. I realize that although meeting him was beautiful, that may be the last time I see him in this lifetime. We meet so many different people, everywhere we go. It is always hard to say goodbye to each other, but we need to remember life is impermanent. From Dallas to Philadelphia I sat next to a woman from Tucson. She was the mother of three children, two girls and one boy. We had a wonderful conversation as well. Her political views are very different from the man I sat beside on the first part of my flight. She is a republican, and sees President Obama like a dictator who is destroying the country. I realized then that we all have such different viewpoints, different needs, and different ideas. This helped me to understand the Buddha Dharma at an even deeper level. Then we landed in Philadelphia and on that evening she was going to dinner with her brother at a restaurant downtown, and she invited me to join them. I really wanted to join her for dinner, but I had made previous plans, so I had to decline. I enjoy meeting people and to me, it does not matter what seat I am sitting in; we are all truly equal. Even though we may have different viewpoints, needs and ideas, we are all equal and we are all beautiful. So now I would like to share another story with you. Since 1994, I have worn more pants than robes. I have been wearing the same size for many years, and my dear sister and two nieces often comment on my pants. They say my pants look too tight and try to adjust them to make them look better, especially in the back. When I buy my pants, I just pick up my usual size and if it feels comfortable, I don't worry too much about how they look in the front or the back. However, one day, my sister Sangmo and my niece Yangchen insisted that I buy new pants. Even though I did not need new pants, I wanted to make them happy, so we went shopping. We went to many different shops, including LL Bean, the Gap, Eddie Bauer, Banana Republic, and Old Navy. Because they thought I needed a larger size, they picked out pants in different sizes and different styles at each store. I tried on all the pants they brought to me and came out to model the pants for them, but each pair of pants looked the same. We realized then, it has nothing to do with the pants, but it is due to my body structure. So after that, my sister and niece gave up and we had lunch. Now they accept that the problem is not with the size of the pants, but the problem is with my natural body shape. I guess my body was built to wear monk's robes, not pants. So now my brown pants are sitting comfortably in my closet, knowing they are safe with me for a while longer; I think they may have been a little worried that I was going to take them to the thrift store. This makes me think of how sometimes we think our problems are caused by external factors, but many problems are caused internally. The causes for our problems sometimes arise from how we see things, how we are, and what we think. So when we have a problem, we need to consider where the problem is truly originating. It is therefore important to enjoy our lives as best we can and live in the moment. And even though we may think that there are great differences between ourselves and others, flying first class or economy, we are all the same. And when we spend time with other people, regardless of how we see each other - as similar or different - we need to treat each other as equals, like brothers and sisters, with understanding, kindness, and compassion. We are all once again busy preparing for the holiday season and the New Year. Last year we did the same thing about this time and now the year 2011 will soon come to an end. Time truly goes so fast! At this time of year I love the decorations, and for many years now I put a wreath on my door. I put it up after Thanksgiving and it stays till after the New Year. As I get older, the wreath is also getting older and it holds many wonderful memories. The other day, as I was hanging it on the door once again, there was a feeling that I had just put it up, but then I thought "oh my, another year has passed." As I mentioned I love to see lots of lights and decorations during the holiday season. The Christmas trees with their colorful lights inside homes as well as outside, remind me how light removes difficulties and darkness. Although the holidays can be joyful, they can also be difficult and full of stress. Especially today all over the world, there are so many economic and political problems, and so many people are struggling with their own financial situation. 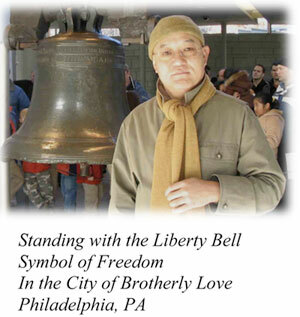 Since I came to my hometown, the City of Brotherly Love, I have seen many homeless people. Nowadays, I see so many more people living on the streets. There are even more young homeless women now, and I hardly saw this before. Perhaps we need to shine even more light this holiday season. As you may know, I grew up in India, which is a Third World Country and there are so many homeless people there, and at one time I too was homeless. Yet, in the United States it is heartbreaking to see so many homeless people, because we live in such a rich country! I have had a few opportunities to visit City Hall in recent months, and meet those in the Occupy movement and offer my support. Yesterday (November 28, 2011) was the deadline to vacate the space where they had been staying, so I was there with them and prayed. I prayed for equality, because we all need the same things: financial equality, safety, a place to live, and good health, as well as love and kindness. I prayed because we truly need changes to our political, economic and social systems. As I was standing there yesterday, I was reminded of the song Imagine by John Lennon. It is such a simple song, yet so profound. I hope that at this time next year everyone has a job, a home, and happiness to enjoy the holiday season. So much has happened in the world over the past year. So much has changed in the world of politics, economy, and environment. For example, I never thought or dreamed that His Holiness the Dalai Lama would step down as political leader of Tibet, yet it has happened. This transfer of power was done by a generous and kind leader who is always willing to foster the power within people, rather than hold on to it himself. We have, however, seen leaders who try to cling to their power and resist the shift of power to the people. Some rulers who held so much power not only lost their hold on power, but sadly, some even lost their lives. We think that some of these powerful leaders would last forever or never change, but just in the last year we have had incredible evidence that everything is impermanent. Where I live is close to the Delaware River and when I have time I go sit by the river to meditate or do prayers. Across the river from Philadelphia is the city of Camden, New Jersey, one of the most difficult places in the USA. I used to visit the prison that was located in Camden, as it was close to my home. I had become good friends with some of the inmates and we commented how wonderful it was that they had a view of the river, of the Benjamin Franklin Bridge, and of the city of Philadelphia. Even though they may have committed a crime that caused them to be imprisoned, they are still human beings who enjoyed the view and it lifted their spirits. However, the prison has been torn down because it was on the riverbank, a location that is desirable for development. This land will now become home to luxury condos. Now, as I sit by the river on the benches, I look where the prison used to be and dream that the prison is no longer there because all the inmates are free and have gone home. It gives me a wonderful feeling to imagine this to be true. Then I look at the river, and notice how the shapes, colors, and designs on the river change, and recently there are many leaves floating along that have fallen from the trees. Not long ago, these leaves were green and hanging in the trees so beautifully, making lovely songs as the wind flowed through the branches. Now these leaves have fallen from the trees and are flowing in the river. Everywhere we look, there is the message of impermanence, showing change that we may feel is for the worse or for the better, but change nonetheless. We are all so beautiful, but at the same time we sometimes forget that we are like the leaves that are now flowing on the river. The leaves release themselves from the branches when it is time to let go, but when we look at ourselves inwardly we see that we are very different from the leaves. We observe that within ourselves, it is difficult to perceive change and difficult to accept change. We struggle because although reality is telling us one thing—that everything changes—we cling to what has been. What we really need to change is our mind. I really want to see change in my own mind. When I look in my mind to change for the better, and when I compare it with the leaves changing from green to yellow, I notice that my mind tends to change less readily. When I wish to control my mind, it can still be difficult sometimes. Even though I see that everything around me is changing, and some of these changes are happening very quickly, when it comes to changing my mind for the positive (away from normal habituation), it appears that changes are happening so slowly. Although it may be slow, however, it is important to never give up hope and to continue to pursue our goal to one day tame the mind - to tame our crazy monkey mind. Furthermore, though reality changes with each moment, we should not sit passively by and just let change happen around us, we can play a role in making change happen. We can help make positive change for the environment, economy, society, as well as within ourselves. When I listen to some of the speeches made by politicians, I sometimes wish people would contemplate the real causes of suffering in our environment and our societies today. When I listen to the political speeches, I feel anxious sometimes because the messages are negative and divisive, and I truly hope that we do not return to the Dark Ages. However, one of my favorite quotes from Shantideva says, "If something needs to change, and there is something you can do, why worry, because there is something you can do. If something needs to change and there is nothing you can do, why worry, because there is nothing you can do anyway." So let's do what we can, without worry. So during the holidays we think of our family, friends, and especially our close loved ones. I know that the closer we are to someone, the more difficult it can be. Although we may feel that someone is being difficult, we need to remember they are probably feeling the same about us. We all share in creating difficulties for one another, yet we can also share in creating joy with one another. So when I see the beautiful lights and decorations, I hope and pray that every family and every living being has loving kindness, joy, and peace for the holidays. After all, the most important thing is LOVE. So I wish to all my friends that you have a meaningful holiday season, where you give one another the powerful gift of love. We can produce infinite love within ourselves, and do not have to import it from China or buy it in a store. It doesn't cost a dime, yet it is the most important gift we can give. I pray that we can produce love infinitely. Happy Holidays and I Love You! When I was young, I thought Canada meant a lot of mountains, because that is what I saw in documentaries about Canada when I was in India as a child. But being here in Canada again this year I see that there are diverse landscapes: mountains, prairies, and lakes. Every time I come to the prairies (Saskatchewan and Manitoba), I see that the sky is so big and blue - it reminds me of the infinite quality of the Nature of the Mind. And as we drive past many beautiful lakes, I find it difficult to leave each one and I have to remind myself I am just a visitor. And there are many people who live in beautiful homes around these lakes, and then I remind myself that­ they are just visiting too. Eventually, we will all leave this temporary home and then we return, only to leave again. We come back in many forms, colours, and sizes, many many times. It is interesting to me how, in this lifetime, we can feel that our skin colour, our culture, our religion, or our traditions are so important. People can even begin to fight against others who are different from themselves. A person can be fighting against those of another culture or religion in this lifetime, only to reincarnate in the culture of the another in the next. Instead of focusing on our differences, I hope we can come to understand we are all one family. As I drive across many miles I see how, unfortunately, Mother Earth has been divided into many pieces, with boundaries of many colours and shapes. I thought about how hundreds of years ago, there were no boundaries and there would have been millions of buffalo roaming the prairies. Now today, it is rare to see any buffalo except in parks, behind fences. Looking up, into the vast sky however, I rejoice that there are no boundaries in the skies. As I watch the flocks of geese preparing to fly south in their formations, I see that most of the formations are even-numbered. Geese, I hear, are very loyal and form life-long partnerships. And, if one goose is injured or falls ill during a migration, another goose will leave the group to accompany the injured one until it dies or recovers. Even though they have no special teacher, Lama, Priest, Pastor, Rabi, or Iman, nor complicated studies, they demonstrate such selflessness, compassion and kindness for one another. When I see them, I pray that they have a safe journey and a safe return. I rejoice that they do not need a visa or passport. Today, many of the difficulties we face are caused by humans and most of the environmental issues, political issues, and health issues are caused by the lack of kindness and compassion. If we look only at the 20th century, we can see that over 200 million people have been killed, but not from illness or natural disaster, but at the hands of other humans. Over the centuries, many tragedies have taken place due to human ignorance, greed, and anger. First Nations and Inuit people lived on this vast land and were the only human inhabitants for many centuries. But now, they represent only a small percentage of Canada's overall population, but unfortunately a large percentage of those living in prisons across the country. When I was in Winnipeg last year, there were two men at the retreat who invited me to come and visit Stony Mountain Institution, the federal penitentiary where they worked. I was happy to receive this lovely invitation, and this year went to visit the penitentiary for a morning. There are so many First Nations people who have had such difficulties and to see so many of the inmates are First Nations really touched me. It is easy to see that they have had a hard life and made choices that brought them here. It is so sad to see that any living being can experience that level of difficulty, and then due to their actions, come to live in this kind of place. As we walked through metal door after metal door, I felt that it could be easy to forget that we were going to visit other human beings. I felt my body getting tense and had to continuously remind myself that I am one human being going to visit other human beings and in this way, I was able to relax. Although the prison setting creates an energy of tension and fear, I realized the power of the mind can change that energy and transform it into one that is relaxed and calm. Each of us has this potential to change our own environment, starting internally and then externally, through our mental power. During the visit with those living in the prison, I began by sharing stories about my life and experiences. I told them how when my family escaped from Tibet when I was 5 in 1959, we did not have time to bring my older brothers with us. They had to remain in Tibet and two of them were imprisoned, not because of anything they did, but because of our family's name. I said to them, because my brothers were put in prison, I am so happy to be able to come and visit you today, my brothers. I shared many stories that I felt were similar to their experiences, about what I have been through and what happened to my country. By the end of the 2 1/2 hour talk all of the inmates were listening intently and truly present. Even though their chairs were as far away from me as possible in the beginning, by the end of the visit they had all moved in close. The staff at the prison afterwards mentioned to me how they had never seen the inmates pay attention for such a long time and be so engaged. There was a beautiful bond created between us. By the end of the visit, I felt it was difficult to say goodbye. Some of them came to me and asked when I would return. They promised that they would try their best, that they want to change and become better human beings when they get out of prison, taking care of their families and themselves. I was so happy to hear that. One man came to me and said, I will pray hard that your country will be free one day. It was so special that he said this, because he is in prison and he is not personally free, yet he is praying for my country's freedom. So, as he prayed for my freedom and for freedom for Tibet, I prayed that he will also one day be free. When I left the institution, everything felt so different than when I entered. The halls felt shorter, the doors lighter, the guards had bigger smiles and the entry-gate was no longer scary. When I did the final prayer at Stony Mountain, I prayed that the inmates would one day fly free like these geese. As I drove away from the prison, I looked back and prayed that the it would one day become a park where people could come and go freely. I hope that one day, on that spot, in place of the cement and barbed wire, there will be beautiful flowers and trees. I prayed that in place of the incredible suffering, that place would become a land of joy. We all make mistakes, but we all have the potential to change. I hope that we all treat one another with kindness and compassion, like the geese. I hope we all come to understand that all living beings are one large family. The circle of life is unpredictable, and we all have different boundaries and houses, but we all share this home, Mother Earth. I hope and pray we come to fly together like the geese, taking turns guiding one another into the pure land. This time of the year is the season for celebration and to think about gathering with our family and loved ones. Everyone is busy buying gifts to give to one another. For me from Thanksgiving to New Years is a wonderful time of year, when people decorate their homes with colourful lights and beautiful candles. Two years ago I was driving through Bethlehem, Pennsylvania at this time of year and as I passed through the town, it looked so beautiful that I prayed that everyone has this kind of beauty also within their homes and within themselves. And, as we get older the years pass so quickly. It feels like we just celebrated New Years, and then the next New Year is here already so fast. And when we just sit and think about all that has happened in the last year, so many things have occurred in the world and within our own lives. There are so many devoted people who have left this world in the past year, as well as some of our friends and family who are no longer with us. It is important to pray for those who have passed on, but also to remember those who are close to us now and to be kind and loving towards them. Sometimes we forget how precious our time is that we have together with one another. So although we spend time and energy shopping for gifts for everyone, it is important to remember loving-kindness, which is the most valuable gift that we can give to anyone. And, loving-kindness comes from within, we do not buy it at a store. It is easy for me to say this in a letter, but in our daily life this can be challenging. Dharma practice means we should not lose hope when things are difficult; we need to keep hope and do our practice every day.